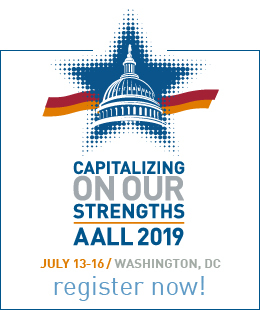 The AALL Grants Program provides financial assistance to experienced law librarians who are actively involved in AALL or its chapters and to newer law librarians or graduate students who hold promise of future involvement in AALL and the law library profession. 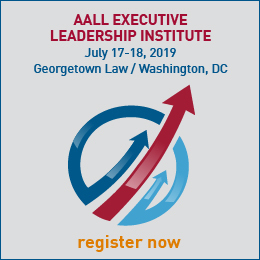 Funds are provided by AALL, AALL individual members, and vendors. Grants cover registration costs at either the Annual Meeting or workshops associated with the Annual Meeting. Individuals eligible for the Experienced Member Grant are active members with five or more years of AALL or AALL chapter membership. Individuals eligible for the Student/New Member Grant are active members with less than five years of AALL or AALL chapter membership or student members of AALL or an AALL chapter. a current resume is strongly suggested. The complete application package must be emailed to Pam Reisinger by April 1.